Come be refreshed! Meet the artists at an opening reception: Friday, July 13, 2018, 5-6:30pm. 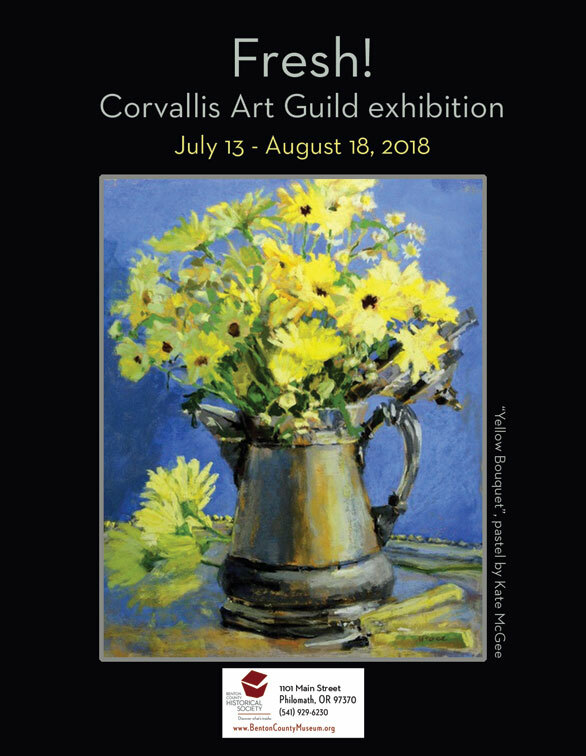 Members of the Corvallis Art Guild present artwork “Fresh!” from their studios. Fresh refers in part to work not previously displayed in the Corvallis area. Other definitions and depictions of “fresh” are encouraged, but not required. Perhaps we’ll see fresh fruit, fresh flowers, fresh faces, fresh ideas, or freshly mown!